Welcome to Rocky Mountain Chipseal, LLC Website. We specialize in chipseal applications for Governmental road infrastructure, subdivisions and private driveways. We are a Colorado based Company that provides service throughout the Rocky Mountain region from New Mexico to Montana as well as Kansas and Nebraska. 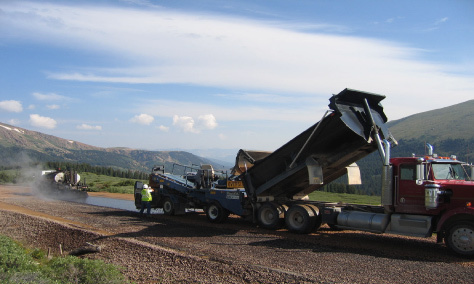 Whether it is a pavement maintenance application or a new wearing surface over a gravel road, we can help plan a chipseal that will meet any individual need.